Thanh Lam, born Đoàn Thanh Lam on June 19, 1969, is a Vietnamese singer and songwriter who has been considered a long-standing diva in Vietnamese comtemporary music. Thanh Lam was born in Hanoi on June 19, 1969 to a musically-oriented family. She is a prolific artist and has produced over 30 albums. 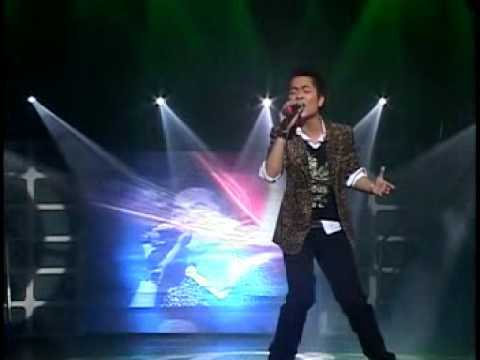 Vietnamese singer Nhat Son (Ca sĩ Nhật Sơn) was born the 29th of August 1981 in Hồ Chí Minh City – Việt Nam under the name Vũ Minh Sơn. He was recently in several TV-shows like Quà tặng trái tim, Gặp Gỡ Ngôi Sao, Saigon Teen, Teen Pop, Thế Giới Âm Nhạc, Trò Chuyện Với Ngôi Sao, Nhịp Cầu Nghệ Sĩ, and many others, for national and regional television. Dam Vinh Hung is a Vietnamese pop star. He has become very popular in Vietnam beginning with his first career solo, Binh Minh Se Mang Em Di and Tinh Oi Thoi Ngu Yen. Hung is involved in combating the escalating traffic crisis and is also a goodwill ambassador to Asia Injury Prevention Foundation. Hồ Lệ Thu, whose real name is Tào Thế Lệ Thu who was born on October 19,is a famous singer from North Vietnam. She was born in Hanoi, Vietnam. She participated in many singing competitions and won many awards. You are currently browsing the Vietnamese Music weblog archives for August, 2008.